The Thermax Therminator DV12 is hot water extractor that can run on a 15 amp circuit. Most of our other carpet cleaning box extractors run off of two power cords because of all the power that is required to run the vacuum motors, pump, and heater. That's what makes this machine unique, is that it packs so much power all into a single cord! Be sure to check out the 30' Hide-A-Hose and 1-jet drag wand available for this machine. The Thermax DV12 is a thorough cleaning machine that deeply cleans carpet, and removes dirt, grime, and odors. It will leave your carpets extremely fresh and clean. Most deeply embedded dirt and grime have formed bonds to the carpet fibers, and they can not be removed by one of standard single motor upright vacuums. This is where 175° F of heated water comes into effect. It actively breaks down the bonds between the dirt and the carpet fibers free them to be recovered by the high powered vacuum motor. This hot water extractor is powered by a single power cord, and only pulls 15 amps, allowing it to be run on a standard electrical circuit. 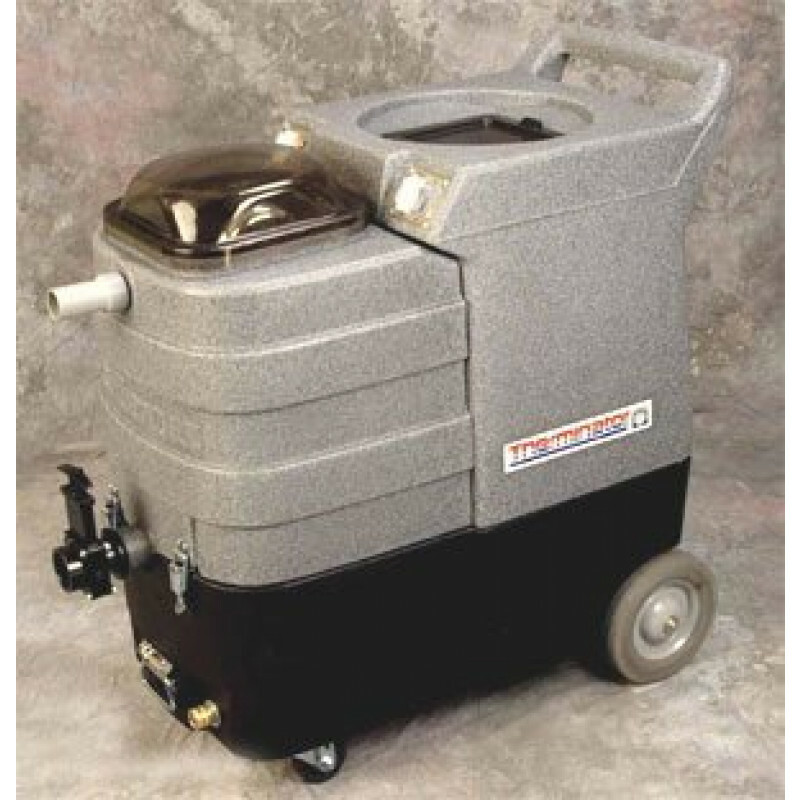 If you really like the Thermax line, but want a smaller sized extractor, please take a look our Thermax 5 gallon heated carpet detailer. Available single jet drag wand & 30' hose provide plenty of cleaning coverage (optional). Two 2-stage vacuum motors provide 165" of water lift for quick dry times. 1800 watt heater provides 175° F hot water for extreme extraction. Single power cord allows you to use this hot water extractor at its full capacity on a single 15 amp electrical circuit. Customers who were interested in the Thermax DV12 Hot Water Carpet Extractor were also interested in the following items. This is a review for the Thermax DV12 Hot Water Carpet Extractor.